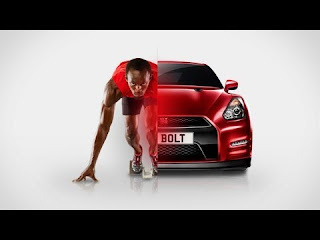 Olympic runners, on a Nissan GT-R blog? Whats this. Turns out Wallace Spearmon, and Usain Bolt both have Nissan GT-R's. Not only do they run fast, they like to have fast cars. 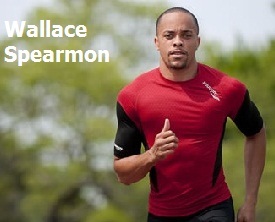 Wallace Spearmon is confident he can beat Usain Bolt in a race. Of course, he is talking about an auto race. "We both have the same car, a Nissan GTR," Spearmon said after Tuesday's 200-meter heats. "I kind of told Bolt about it and he went out and bought one and now he has a sponsorship deal with them. Lord knows what will happen to his car after a while, but my car is faster right now." Will Spearmon get a Nissan sponsorship deal, too? "I highly doubt it," he said. "Unless I win a gold ... and break some records." Or beat Bolt. The odds are against Spearmon, but the American sprinter said he likes his chances out of the car and on the track. "I just feel good. I feel confident. ... It should be interesting." Check out Wallace's GT-R on the strip. This car here is black, the one above putting around 1000 whp to the ground is silver. Two cars, a wrap, or maybe he decided that he wanted a change. The time - 10.7 is ok, but the mph is pretty big - 134 mph. I think if they meet at the drag strip, Wallace probably has Usain covered.